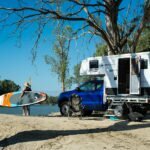 From the same people who bring English built Swift Caravans into Australia comes the Trail RV Hybrid, an Aussie-built micro off-road caravan they hope will find its way into a few of Australia’s more remote campsites. 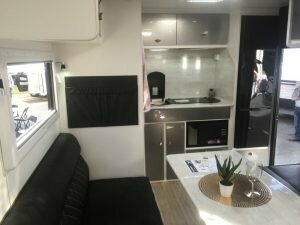 This is the smallest of the Trail RV range so far – the company has previously released models ranging from 18 to 21 feet, but all with an off-road bent and and really good warranties. 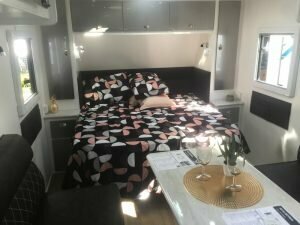 The Hybrid is built to appeal to those who might be looking at a hybrid style camper trailer but don’t want the complete ruggedness of it all. Where most hybrid style caravan/campers have most of the facilities outside, this maintains a modicum of comfort inside and includes compact, but still comfortable examples of everything you’d expect in an off-road caravan – a combo ensuite, dinette, a basic kitchen and even a top-loading washing machine. 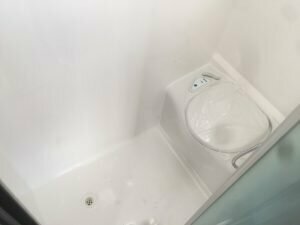 But it still offers the ability for outdoors living that is a big part of the camper trailer or hybrid lifestyle. The 15-footer is fitted with a great outdoor kitchen as standard, which slides out from the boot at the front and sets up under the awning. There’s also a drop-down picnic table, full-length awning and external speakers. Like this? 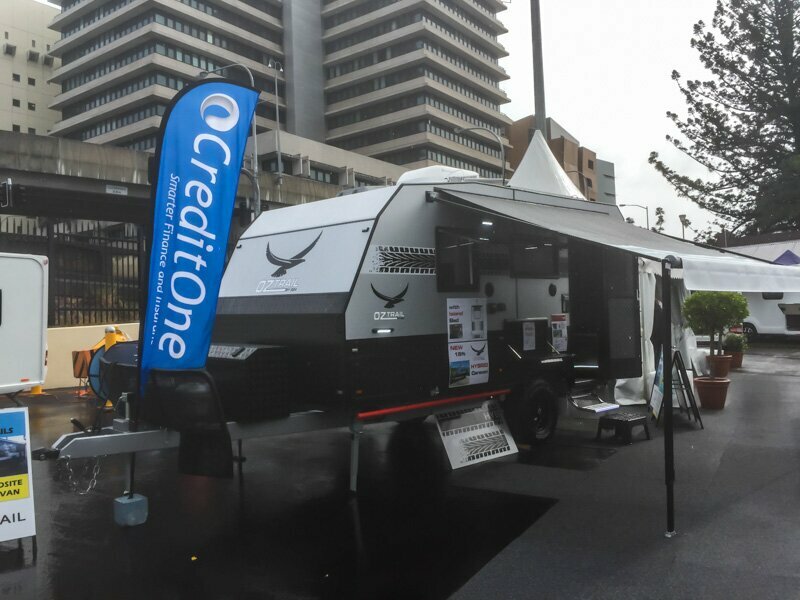 Check out the impressive triple axle off-roader from Kedron. Understanding the types of places this van can go, it’s built on a six-inch Roadrunner chassis with Duragal rust proofing, although a G&S Chassis is an optional upgrade. It has a trailing arm, independent suspension, alloy wheels with all-terrain tyres, full-sized spare wheel and even a generator storage compartment with slide-out base. Unladen that caravan weighs around 2020kg but is offered with an aggregate trailer mass between 2500 or 2700kg. You get to choose dependent on the car you’re expecting to tow it with (find out why you should just choose 2700kg here). There is capacity for 180-litres of water and it carries two 100ah batteries. They are kept topped up with the 300W solar array on the roof. 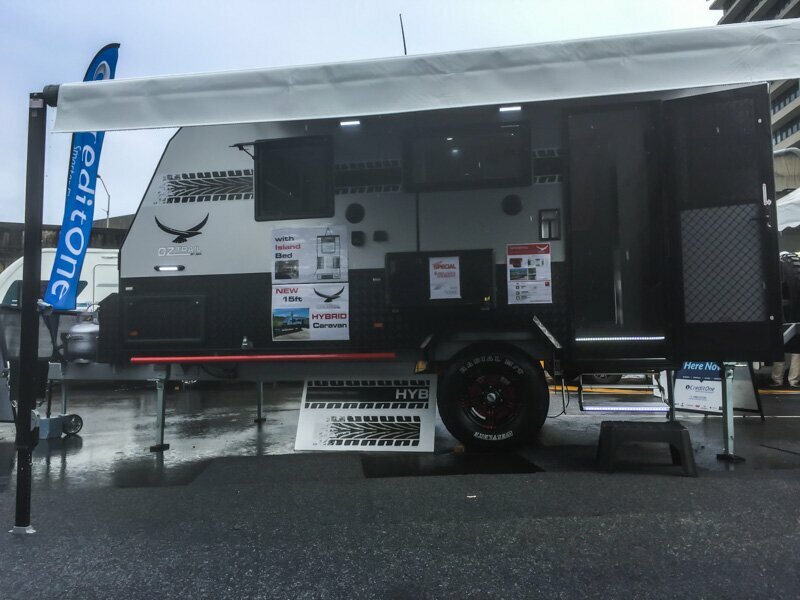 Trail RV had it on display at the Brisbane Caravan, Camping & Touring Supershow last week for $59,990 (down from around $63,000). It comes with a five year structural warranty on the body, which is also pretty impressive. Not a bad offering if you don’t need heaps of space, but do like a bit of comfort off-road. I can’t find any reference to “OZ Trail RV” or “Trail RV” anywhere on the net and Swift Caravans Australia don’t show this model on their web site? Can you please tell me where I can find out about the Trail RV 15 Footer? I also saw the 22′ Trail at the Redcliffe Expo this weekend. Picked up a spec sheet. 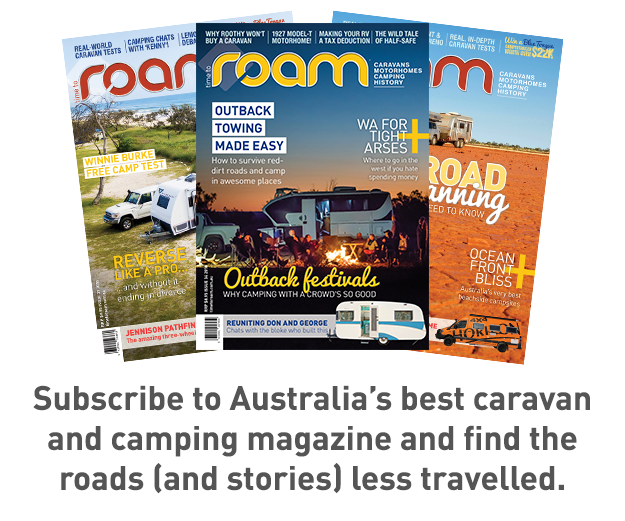 The website is http://www.trailrv.com.au.